Happy 2016!!! Check out our awesome activities for you! 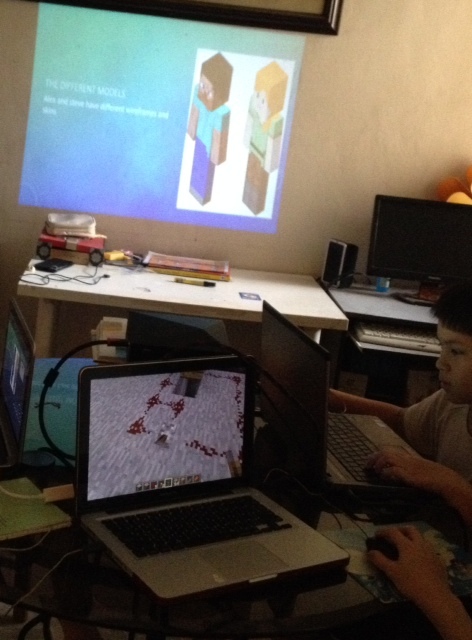 Describe your maker journey: Alimi and Nur have been playing Minecraft for almost 2 years and now they run a server where homeschooling kids can play and build together. Along with the booth, Alimi, Nur and their friends will be holding a symposium where they will be presenting short talks about command blocks, redstone, building, tutorials and all sorts of things Minecraft. Evan loves Rainbow Loom and Minecraft. Ever since he got his hands on the Alpha Loom kit almost half a year ago, he has made and designed Minecraft charms for play and display. Description of maker journey: We just love to repurpose everyday items into new useful stuffs. Hope our ideas can inspire others to relook and think before they trash anything! Description of display: Japanese Anime drawings and some creations from paper clay. Describe your maker journey: Awwal (8yo) started to sketch consistently a couple of years ago and had taken a keen interest in Japanese Anime recently. Besides sketching, she loves to mold clay into miniature stuff/figures. 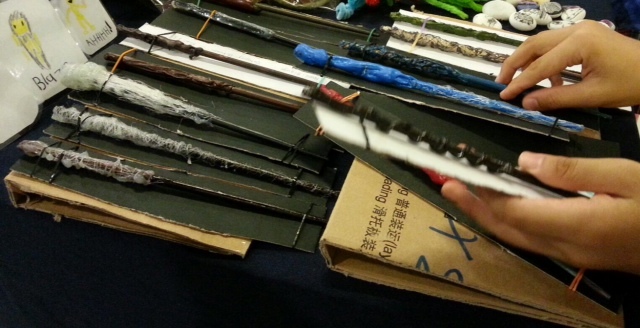 Description of maker journey – the kids have been making these wands for about one year now – selling them online & at art markets in KL. Check some of their creations at FB Uka Wands! Fruit piano – using Aduino software to create musical notes from fruits! Come & Play like a maestro! Description: turning strips of paper into designs, frames, magnets, and even jewelry! Maker Journey: Honey (mom) has been paper quilling since she was 10 years old and learned from library books. Svara (age 8) has been watching and learning along with mom since she was a toddler. Now she can make all sorts of fun designs and loves making up new ones! Describe your maker journey : Julianne is a crafty 11 yr old. Likes making crafty stuff. Jewellery-making and sewing are her current passion. She’s made lots of Jewellery as Christmas presents last year and is trying to improve her sewing skills. Do share with your friends! We hope to see you there!